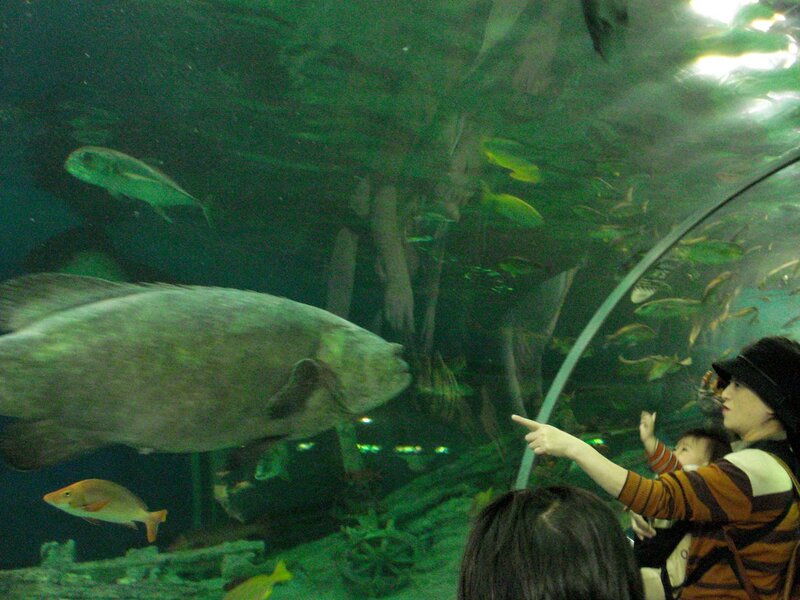 Shinagawa Aquarium is one of the three full featured aquariums in the Tokyo area. As the name suggests, it is in Shinagawa but, instead of being in the area most tourist will associate with Shinagawa, it is south along the coast towards Haneda Airport from JR Shinagawa Station. It is in a corner of a pleasant but overly paved park beside the ocean. The aquarium was opened in October, 1991 and has established a tradition of opening a new section for every 5 year anniversary. Penguin land was opened in August 1996 and was followed by the shark tank in 2001 and the seal observation building in 2006. The first sections of the aquarium deal with the native fish of Tokyo Bay. Sadly, the displays might be a more natural environment for the fish than where they were scooped up from. There is a surprising diversity of fish out in the bay that most people in Tokyo would never encounter if it weren't for these displays. Most of the displays are medium or smaller sized when compared with other aquariums in Japan. 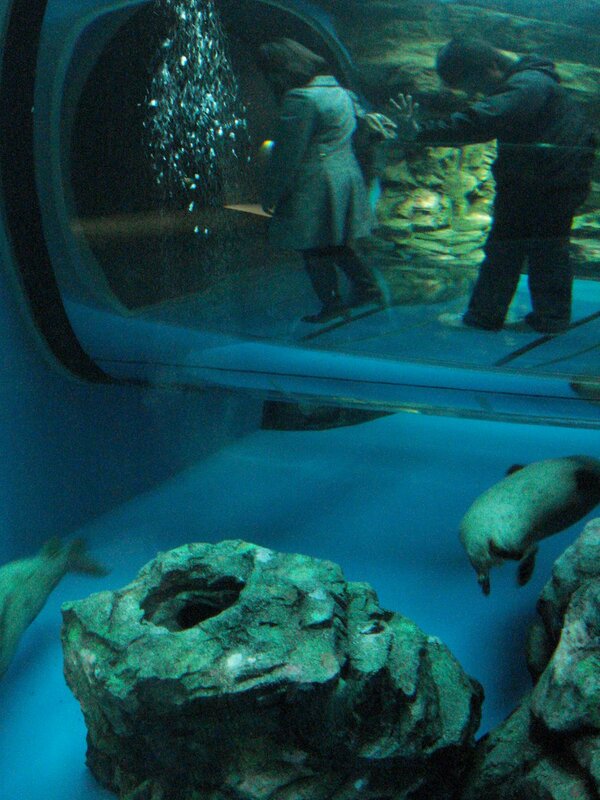 The underwater tunnel through the large tank is still as impressive as when the aquarium opened. The tank holds a astonishing menagerie of aquatic creatures. 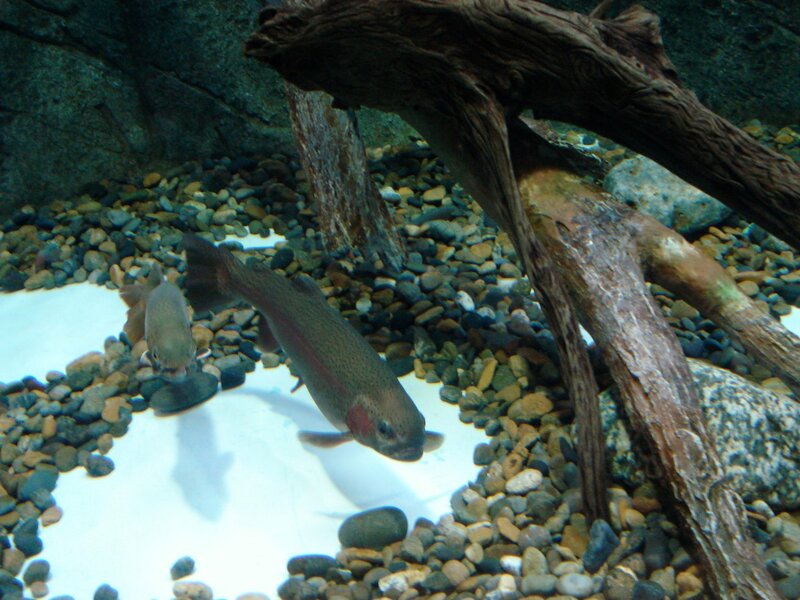 Similarly, the rain-forest tank holds almost as much fish as it does water. Feeding time at the later tank is not to be missed. The giant sedate monsters come to life and snap up the food the second it hits the water. The final sections that contain the 5 year anniversary additions are some of the best parts of Shinagawa Aquarium. The spotted seal observation building is probably the best exhibit in the aquarium. The shark tank is a bit understated but watching the shark swim by a more than once takes a brave and fascinated mind. The penguin exhibit is present but not really that special. 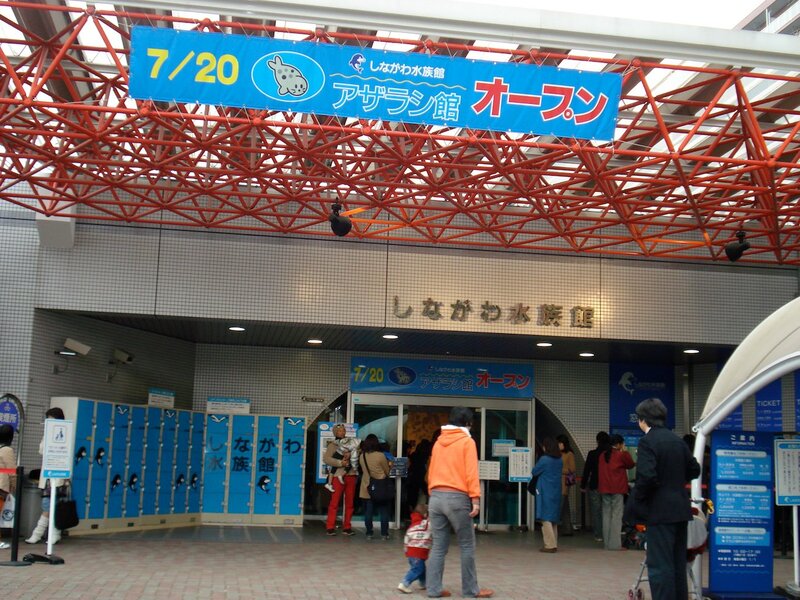 Shinagawa Aquarium has one of the two "wet" stages in Tokyo. 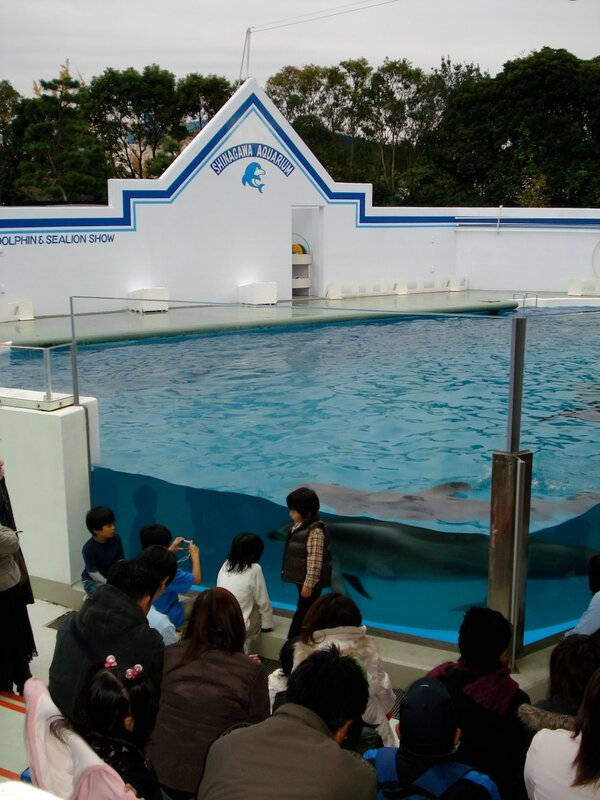 Dolphin and sea lion shows are put on throughout the day. The other stage is at the Epson Aqua Stadium near Shinagawa Station. It cost more and has only a few other tanks. 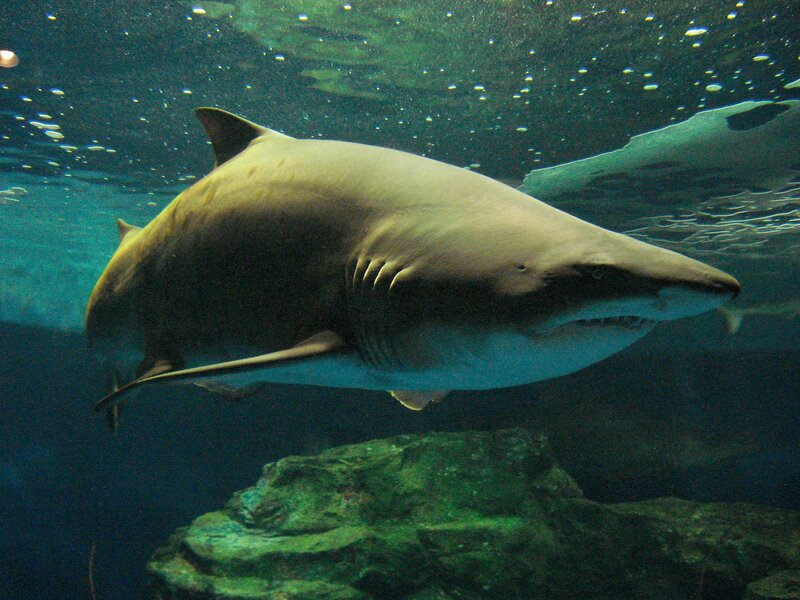 To put it bluntly, Shinagawa Aquarium's displays range widely in quality. This varying standard diversity is matched only by the variety of aquatic life in the aquarium. There are plenty of unique tanks (including a very popular touch pool) that aren't to be missed at the Shinagawa Aquarium. Oddly, the restaurant is located outside of the aquarium which decreases its appeal. There are newer, larger and more innovative aquariums in Japan but except for Tokyo Sea Life Park they aren't anywhere near Tokyo. 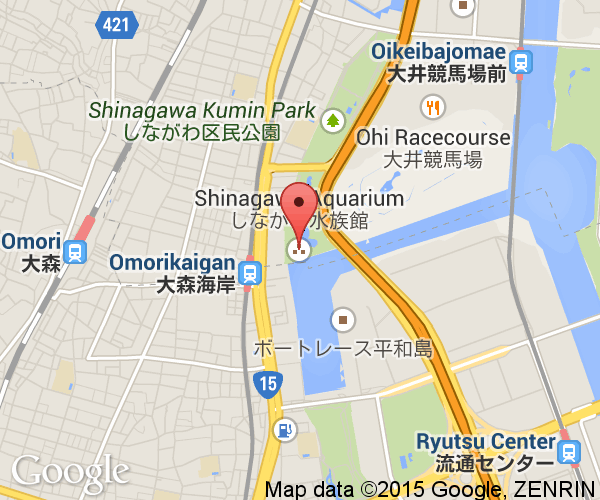 Shinagawa Aquarium is well worth seeing for those in the Tokyo region. Of the two train lines that run along the coast south of Tokyo, Keihin runs the one with the closest stop (Omori-Kaigan Station) to Shinagawa Aquarium. Keihin's line only connects from Shinagawa Station to Haneda Airport so you'll have to change trains at Shinagawa Station if you're coming from somewhere else in Tokyo. JR Omori Station on the Keihin-Tohoku Line is a 15 minute walk and the other is only 8 minutes away. A free shuttle bus operates between JR Oimachi Station and Shinagawa Aquarium. This is a major train line intersection between Shinagawa station and the aquarium. The buses are at 15 minute intervals at peak times and departs from the number 6 bus stop. The bus ride takes about 15 minutes. A water taxi from Hinode Pier goes to Shinagawa Aquarium. One way combo tickets can be bought at both sides. This route does not operate when the aquarium is closed. The parking lot is on the expensive side (100 yen for 20 minutes) and may be full during peak times. If you drive, approach from the south to enter. There are maps on the website but are only in Japanese.